Nikita Boriso-Glebsky was born in Southern Russia. After graduating in 2008 from the Moscow Tchaikovsky Conservatoire under the guidance of Professor Eduard Grach and Tatiana Berkul, he has become an artist in residence at Chapelle Musicale Reine Elisabeth in Belgium under direction of Augustin Dumay. Since 2007 he has been an exclusive artist of Moscow Philharmonic Society. 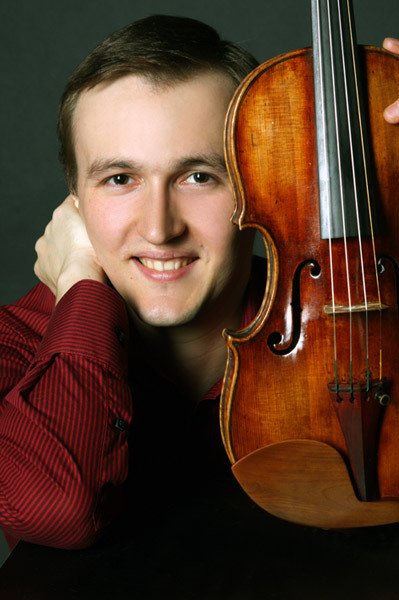 Nikita’s rise to prominence came in 2010 when he won the International Jean Sibelius Violin competition and the International Fritz Kreisler Violin Competition. He has also been awarded top prizes in many prestigious violin competitions including Tchaikovsky, Queen Elisabeth and the Montreal Music competition. He has performed with many Russian and European orchestras, including the Mariinsky Symphony Orchestra, State Symphony Orchestra of Russia, NDR Symphony Orchestra (Hanover), Amadeus Chamber Orchestra (Poland), and the State Orchestra of Lithuania, under such conductors as Valery Gergiev, Christoph Poppen, David Geringas, Yuri Simonov, Maxim Vengerov, Agnieszka Duczmal. In 2009 he received the special award – Violinist of the Year from the International Maya Plisetskaya and Rodion Shchedrin foundation (USA).